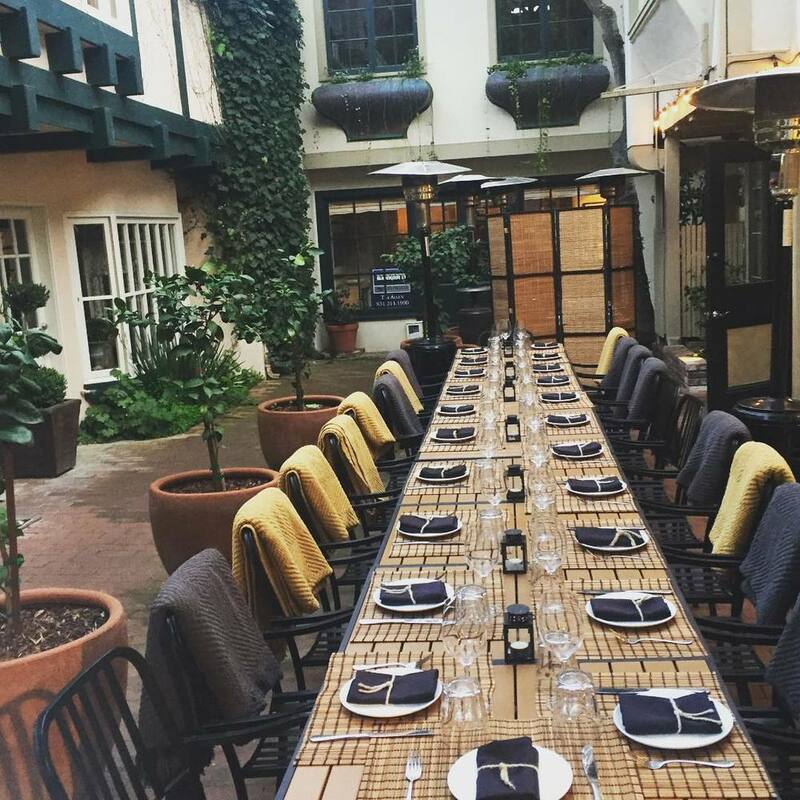 Il Tegamino features indoor seats & outdoor seats in our charming courtyard. Our outdoor seats are surrounded by heaters & we provide plush blankets for added warmth. To book a table, please do so below! Note that “standard tables” are indoors and “outdoor tables” are in our courtyard. Once reserved, seating areas are not changeable due to our small size. Online reservations are only available for parties 8 and smaller. For larger party sizes, please email info@iltegamino.com for availability. Groups larger than 10 guests generally require a buyout. Private party buyouts are opportunities for us to work more closely with our guests and we welcome the occasion for us to share our dedication to celebration in exciting new ways. Our indoor dining room seats up to 16 as a group family style table or 24 at three separate tables. Our outdoor courtyard seats up to 28 at one long table. Please e-mail info@iltegamino.com with details of your special request. Our buyouts require a minimum spend that is dependent on the date and day or the week you choose.